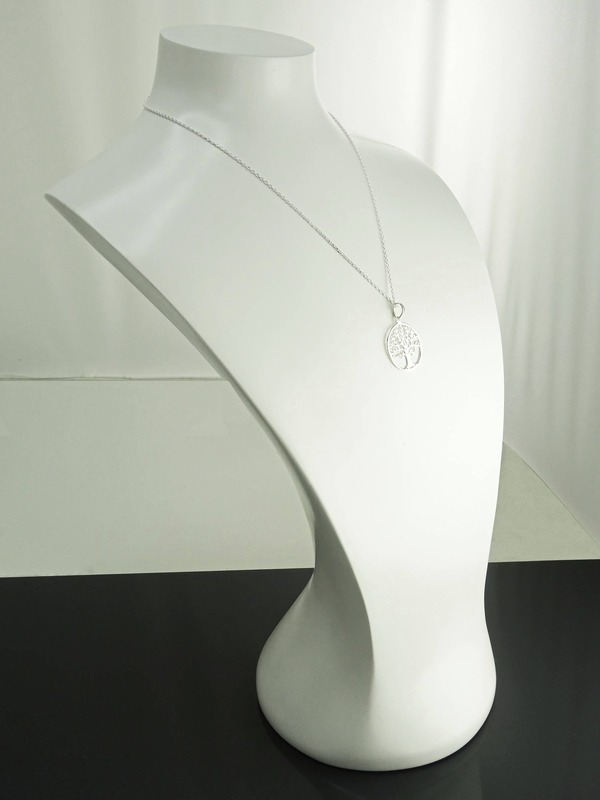 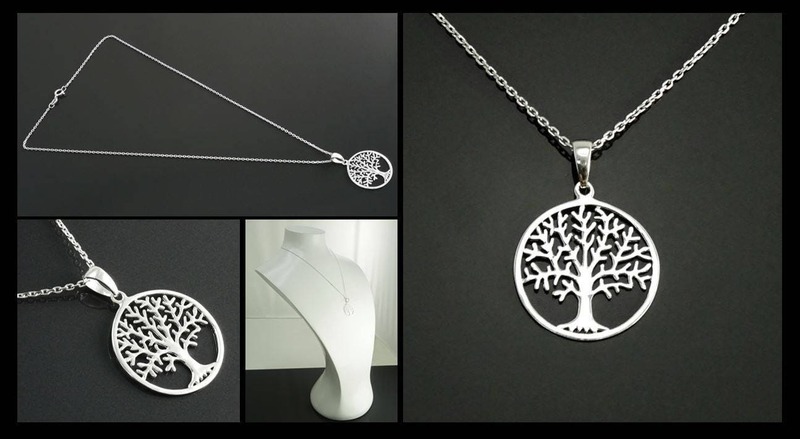 Silver necklace with a pretty Tree of Life motif that symbolizes the strength of life and its origins. 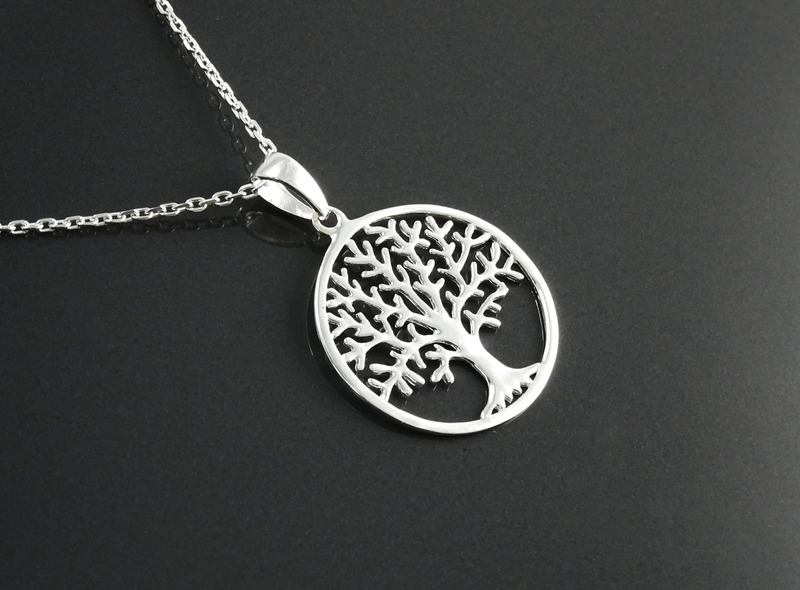 the Tree of Life incarnates an immortality plant placed in the center of Paradise: the tree loses its foliage in winter and finds it in spring. 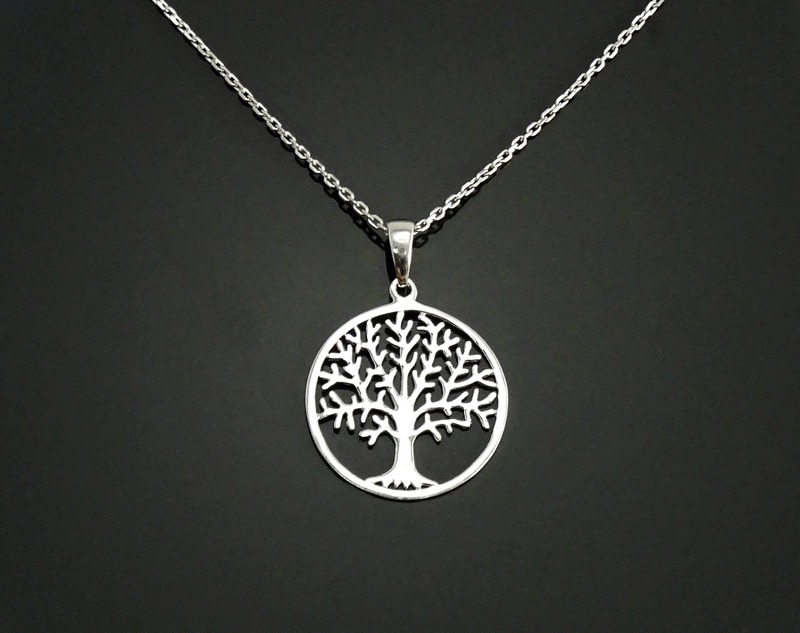 The tree of life is therefore the symbol of the death-resurrection cycle, where life and immortality always prevail over death. 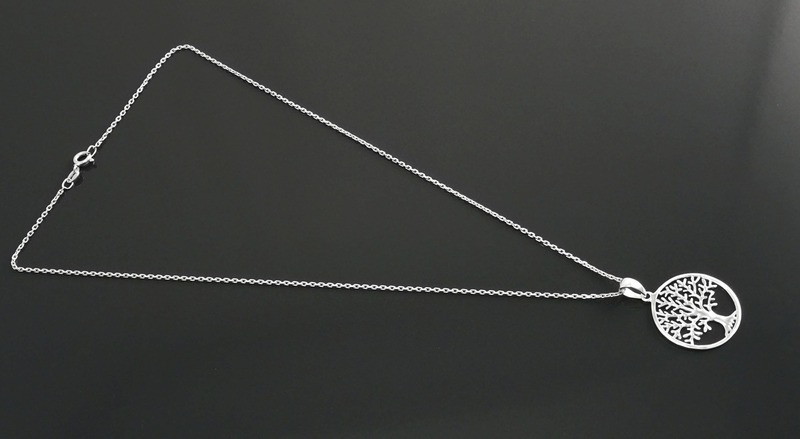 Average silver weight: 2 gr.